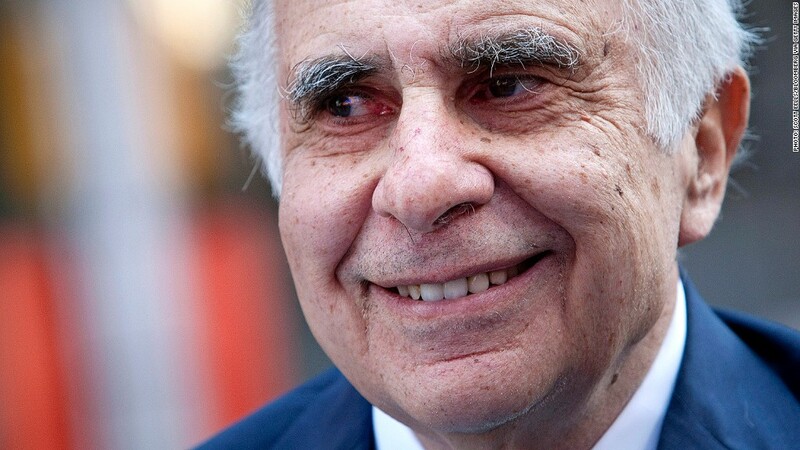 Activist investor Carl Icahn wants eBay to spinoff PayPal into a separate company. Shares of eBay jumped higher after the online auction website revealed Wednesday that activist investor Carl Icahn is urging the company to break up. In its fourth quarter earnings release, eBay (EBAY) said Icahn wants the tech giant to spin off PayPal into its own company. EBay said it has previously explored separating PayPal, but decided against it. "EBay is a big contributor to PayPal's growth and expansion," eBay CEO John Donahoe said on a conference call with investors Wednesday. 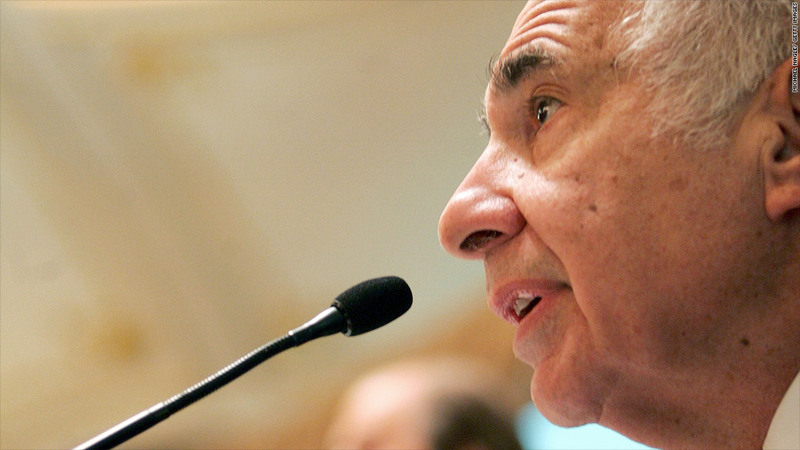 Icahn's proposal for a separation is a "distraction," he said. EBay also posted fourth quarter earnings that edged past analyst expectations, but it was the Icahn news that really moved the stock. Besides the spinoff proposal, Icahn also acquired a 0.82% stake in the company earlier this month and nominated two of his employees for seats on eBay's board of directors, eBay said. The irony: PayPal used to be its own company, until eBay bought it in 2002 for $1.5 billion. It's all about the mobile-payment business. In recent years, PayPal has steadily grown its share of eBay's overall sales. And hot-startups such as Square, along with more established players as Google, are upping the ante, all battling for a bigger piece of the mobile-payment pie. The situation is not lost on eBay. The company bought online payment platform Braintree in September for $800 million, and has been integrating it with PayPal. Ebay, one of the stocks in CNNMoney's Tech 30 Index, has roared back since depths of the financial crisis. Recently though, it has lost some steam, gaining only about 2% in the last year as analysts worry it may have overheated. The 77-year old Icahn is known to take sizable positions in companies and then aggressively advocate for change in the name of shareholder value. He recently bought a stake in Apple (AAPL) and has publicly campaigned for the cash-rich company to give more money back to investors in the form of a $150 billion stock buyback. On Wednesday, he increased his investment in Apple by $500 million to $3 billion. Apple has repeatedly rebuffed Icahn's proposal. While Icahn is known to be tough in his attempts to shake up companies, he knows when to back off. In 2012, he took a position in Netflix (NFLX) and said the company would be a nice takeover target for a larger firm looking to add streaming video to its portfolio. But Netflix fought back hard and Icahn surrendered. Netflix has had an amazing run since then, netting Icahn a tidy 460% profit.